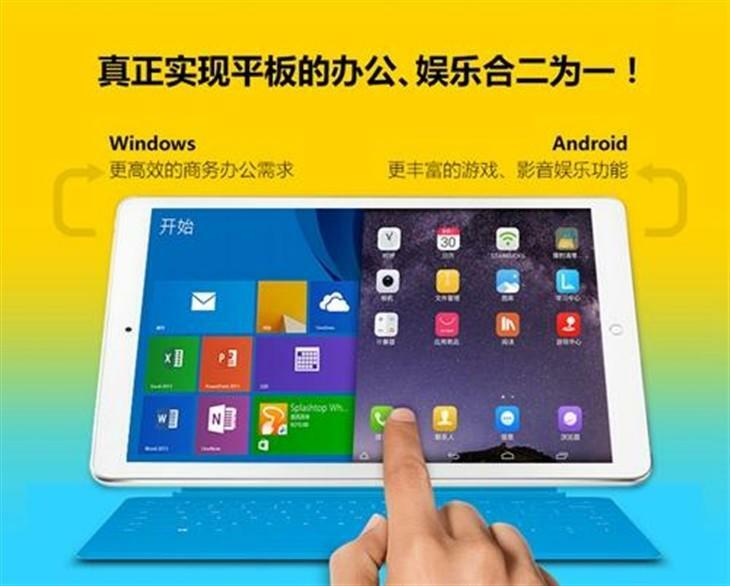 Nokia recently unveiled a snazzy new Android tablet that looked suspiciously like the iPad mini. 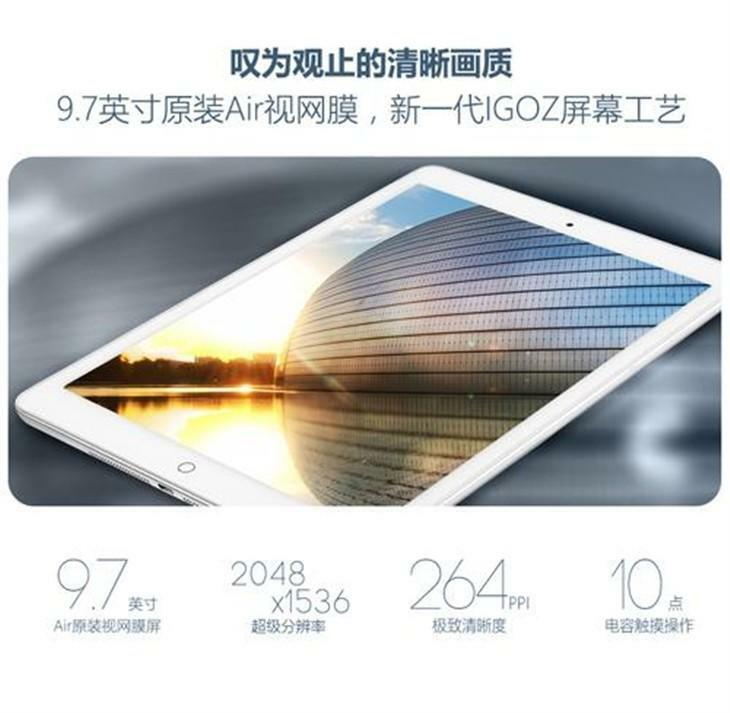 Now, Chinese company Onda has done one better with a dual-booting iPad Air knockoff that offers high-end specs at competitive price. 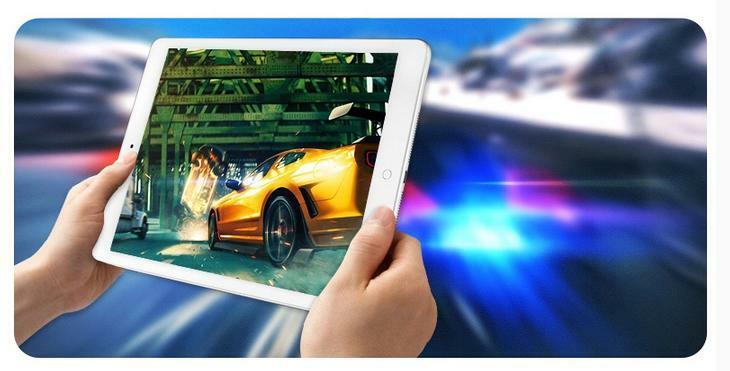 The Onda V919 3G Air features a sleek aluminum design and a 9.7-inch display with resolution of 2048 x 1536 pixels (same as the iPad Air 2). It also packs a 64-bit Intel quad core processor, 2GB of RAM, 64GB of storage with microSD support for up to 128GB of additional storage, a 5-megapixel rear camera, a 2-megapixel front-facing camera and 3G connectivity. Switching between Android 4.4 KitKat (sorry, no Lollipop here) and Windows 8.1 on the new tablet is as simple as pressing a button on the device. It’s also nice to see dual-booting devices making a comeback after earlier efforts were seemingly blocked by both Microsoft and Google. So how much would you expect to pay for all that? 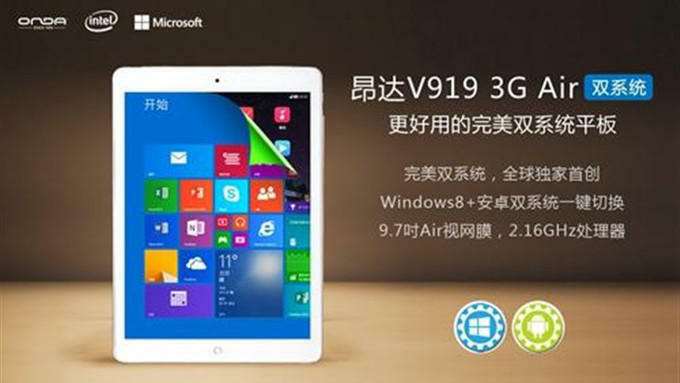 The Onda V919 3G is available to order online for as little as ¥ 1,199.00 ($193), putting most other full-sized tablets to shame. 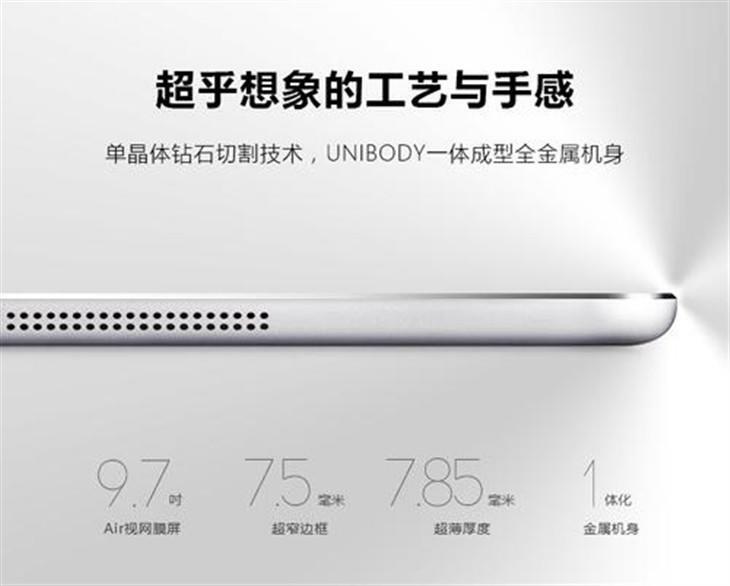 Of course, there’s still a lot we don’t know about Onda’s new device—battery life, for instance—though from a distance this looks like a pretty great deal.